Do you hate having to make your bed every morning? 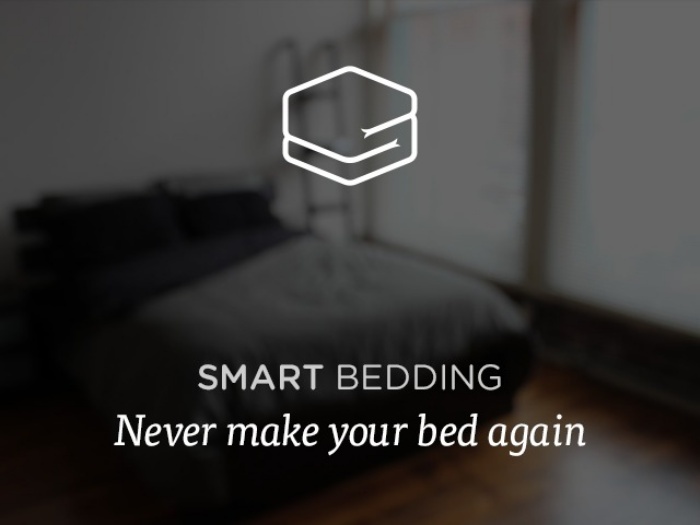 Well, you won’t have to anymore, not with Smart Bedding. It’s described as a “new, innovative bedding line” where the top sheet snaps onto the duvet cover. That means no more wrinkled and bunched-up top sheets, since it’s attached to the duvet. It’s a simple solution to a first-world problem that has hounded millions of people all over the world, including Smart Bedding’s own designers, Marshall Haas and Jon Wheatley. Us dudes have it easy: we can sleep face down without anything getting in the way. And while we suspect that given the large number of women who also sleep face down, having breasts isn’t that much of an obstacle. Yet, it’s nice to know that someone out there has your comfort in mind, ladies, especially those of you that are… gifted. Michael C. Riley is in the process of getting funding for Comfy Breasts™ Relaxation System (that’s right, trademarked), a full body length foam pillow with an opening for your bosom. So you can lay flat, face down, in comfort. There are a number of sizes, and a selection of unfortunately awful patterns for the cover, but hey… this is the first we hear of anything like this, so we’re going to cut Michael a little slack for his questionable taste in interior design. The body pillow is $50, or $100 if you want it with the matching head rest. If fully funded, it’ll ship in June. Hit the jump for a couple more informative pictures, and links. By Hazel Chua on 11/30/12 • Leave a comment! 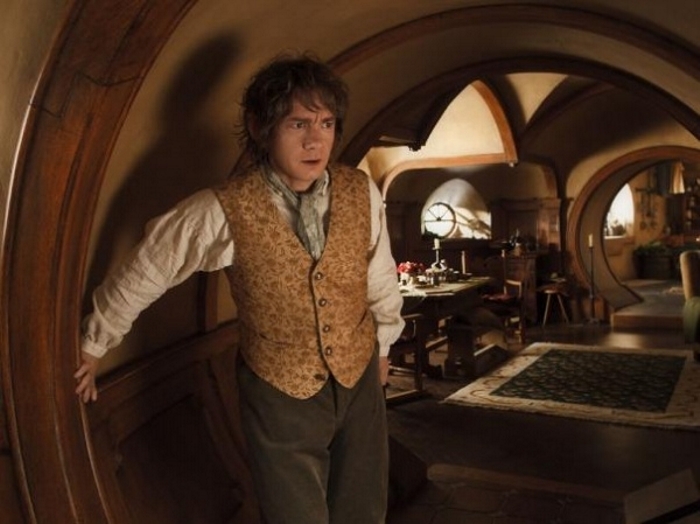 We’ve got two more weeks before Bilbo Baggins’ epic adventure hits the big screen. Peter Jackson and the rest of his crew are currently working feverishly on post-production for The Hobbit, and it’s set to be completed just two days before the big opening. Talk about a close call. I’m not going a grand adventure like Bilbo is, although I am making a huge move to a new place next year. So you can just imagine the geek in me scream out (while my boring, serious external stuff maintained a calm demeanor) when I spotted this cozy-looking get-up that looks like it came straight from the set of The Hobbit! You know how Barney Stinson from How I Met Your Mother loves to suit up? It pays off too, since women find him irresistible (at least most of the time, anyway.) But suits aren’t the most comfortable things to wear, especially if you have to move around a lot. Not that I’ve tried wearing one, but from the testimonies of my male friends and cousins, they can be pretty restrictive. All suits probably are–except for the Suitjamas, that is. 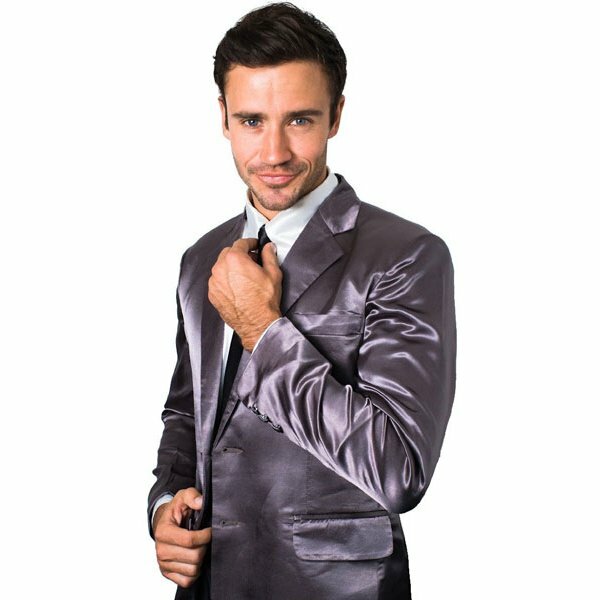 These aren’t really suits, although they look the part and are about a million times as comfortable as the regular one since they’re made from 80% pure silk with a 20% cotton blend. These might actually look familiar since Barney actually wore them a couple of times on the show. They’re available in a couple of designs and colors. Aside from the ones in classic gray, there’s also a set in plain black and another one in black and gold pinstripes. Check out more pictures of the Suitjamas after the jump.